Today we are interview Jody Tomic, author of the children's book Matthew, Pop and the Basketball Team. I am a mom and a physician assistant, and more recently a writer. I have been an avid reader all my life and tried to pass that on to my son, who is starting to write stories himself. 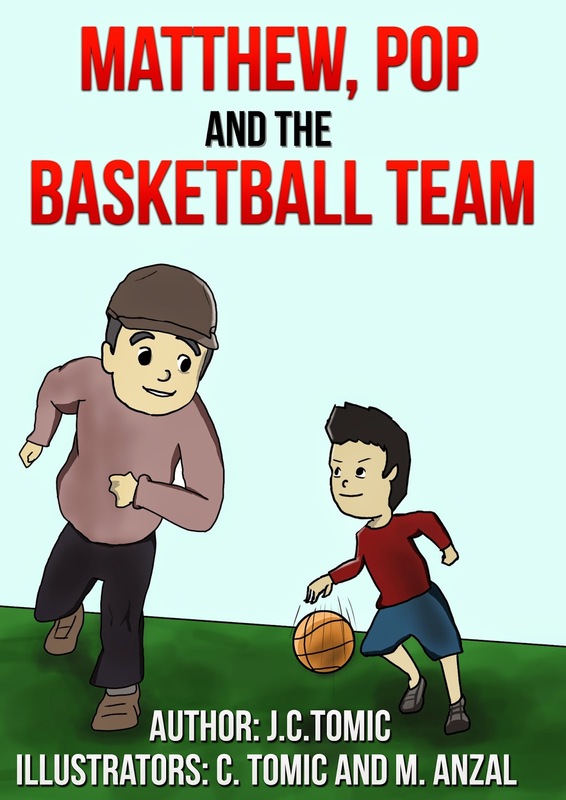 A boy named Matthew has no one to play with, so his grandfather signs him up for basketball. He is nervous about whether the other kids will like him and whether he is good enough. His “Pop” teaches him about kindness, responsibility and being a team player. This book is for children of about 4-8. There are good lessons that parents will appreciate and the illustrations are lovely. My dad was the main inspiration for the book. He always went to my son’s practices and helped out with the coaching. He taught my son a lot about character along with how to play sports and get along with other kids. All the other kids appreciated his help and they all called him Pop too. My other inspirations are the men who volunteered their time to coach community and CYO basketball. It is so important to young boys and girls to have these role models. My favorite character is Pop of course. He is supportive and wise, but he also practices with Matthew. You work with illustrators on your books. Tell us a bit about how you got in contact with your illustrators, and what the collaboration process is like. Well, I had worked with M. Anzal on my previous book, Ramona Street Rescue. I found him on Fiverr and he was enthusiastic and easy to work with. I wanted my son to contribute to the illustrations and for Mr. Anzal to work with him, which he was willing to do. I also had specific requests, like the hat, which was the same style my dad used to wear. It was a great collaboration all around. I am working on a sequel to Ramona Street Rescue, which may become a series. I am also working on a medical mystery novel. Can you tell us a bit about any other works you’ve published? I have written a nonfiction book on becoming a physician assistant in addition to the Ramona Street Rescue. My sentimental favorite is The Fellowship of the Ring. I remember just being mesmerized by that book as a kid. Right now it is only available as an ebook for Kindle, but it will be coming out in paperback soon.